Rice paper rolls from are tempting to your taste buds while winning the approval from world-renowned medical professionals worldwide. “Catering Melbourne,” offers this nutritious yet tasty Asian dish. These soft, raw rice paper rolls are a creative yet nutritious change to deep fried rolls. The fillings include shrimp, healthy vegetables with very tasty herbs. The fillings are then wrapped in rice paper sheets and served cold with dipping sauces. “Catering Melbourne” can prepare these rice paper rolls ahead of time, which can be placed, into your refrigerator. You want to ensure these rice paper rolls remain moist until you are prepared to serve them to your guests at your upcoming catered event. According to the taste buds of your guests, you can also request these rice paper rolls be steamed or fried for the enjoyment of your guests. Asian food is very healthy for not only your heart but also your overall style of living. Asian style of cooking is great for clear blood vessels while aiding with maintaining a healthy level of cholesterol levels within your body. Saturated fats are very low with Asian style of cooking and “Catering Melbourne” has recognized the healthy benefits of Asian style cooking which is why we offer the Asian flavor of rice paper rolls to your catered event. Catering Melbourne, recommends our rice paper rolls for your diabetic guests at your upcoming catered event. Asian diets contain many benefits for diabetes management. Diabetics cannot only enjoy Asian food as a whole but the rice paper rolls, which contain an evenly spaced amount of carbohydrates. Catering Melbourne wants Australians to enjoy our food as a whole. Catering Melbourne does not discriminate with our wonderful food menu. We want your guests who want healthy alternatives to be able to enjoy our tasteful meals and side dishes and we want those with food limitations to be able to eat our wonderfully catered meals without worry about medical side effects. Catering Melbourne’s rice paper rolls is exactly what the doctor ordered when your guests want not only taste, nutrition but also something they can eat without worry about their blood sugar. This will prove for an enjoyable time for your guests. 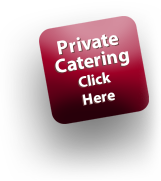 Catering Melbourne wants everyone attending your event to enjoy the many varieties of healthy alternatives we have to offer.